Strategy Analytics posted its latest research on the best-selling smartphones in Q2 2017. The results unveiled a dominance of Apple’s iPhone 7 and iPhone 7 Plus at the top two spots, while the Galaxy S8 and Galaxy S8+ trailed behind at third and fourth. The fifth best-selling smartphone between April and June is the Xiaomi Redmi 4A with 5.5 million units worldwide. The iPhone 7 sold 16.9 million units and amounts for 4.7% market share. Its Plus-sized sibling got 4.2% of the pie which equals to 15.1 million phones. 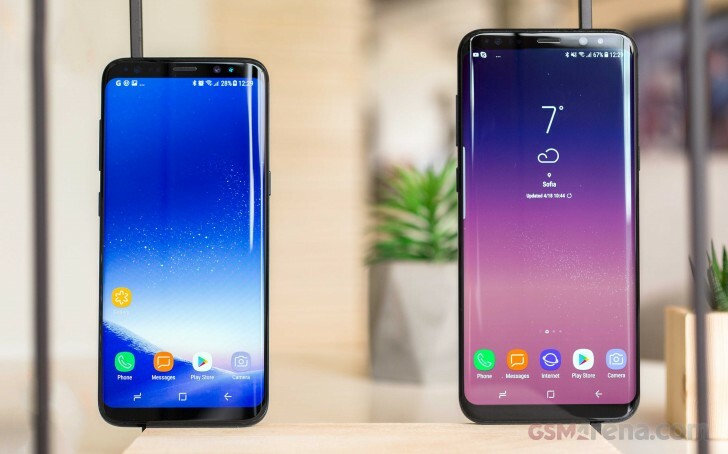 Samsung launched the Galaxy S8 and the Galaxy S8+ in March and started shipping in April and managed to push to customers 10.2 million units of the 5.8”-screen device and 9 million more of the bigger phone. Surprisingly or not, the ultra-cheap Redmi 4A comes right after the Apple and Samsung flagships. The price of around €100 and the expansion to various markets helped Xiaomi regain positions and 1.5% of the market share for the entry-level phone. The overall picture shows 360 million sold units in Q2 2017. 1 of every 6 new smartphones is one of the Top 5 best-selling devices. Analysts shared that Xiaomi is already the second biggest vendor in India. According to IDC, the Chinese manufacturer secured the silver medal with a healthy 25% growth quarter-over-quarter and reached 17% market share. 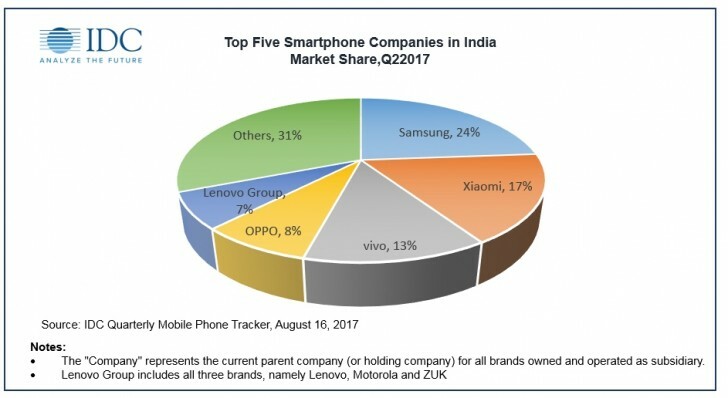 Samsung is still the top vendor in India with one of every four smartphones coming from the Korean company. And maybe you are the only one actually 'laughing out loud' at any of your posts!!! Do you actually believe that? What do you think you achieve by writing such nonsense? Is this your attempt at comedy? Over 19 millions in its first three months of sales for the S8 is quite an achievement for samsung. Only 32 millions for iphone 7 is pretty disappointing, even though it's only 6 months old at the start of the quarter.